Dr. John M. Schiller, 72, passed away in Brisbane, Australia, on Monday (18 December) of suspected heart failure. 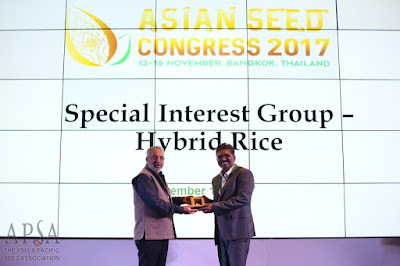 For the International Rice Research Institute (IRRI), he was the team leader and research programmer of the Lao-IRRI Project for 11 years (1990-2001). He had spent 30 years of his life working in Southeast Asia, primarily in Thailand, Cambodia, and Laos. A two-day workshop on educating stakeholders about ways to reduce losses in harvesting and postharvest operations was held at Bhubaneswar, Odisha. The workshop presented an opportunity for stakeholders to learn about ways to improve the quality of paddy, milled rice, and seeds, which in turn can increase incomes of farmers, particularly women, and other chain actors through exploring business opportunities. 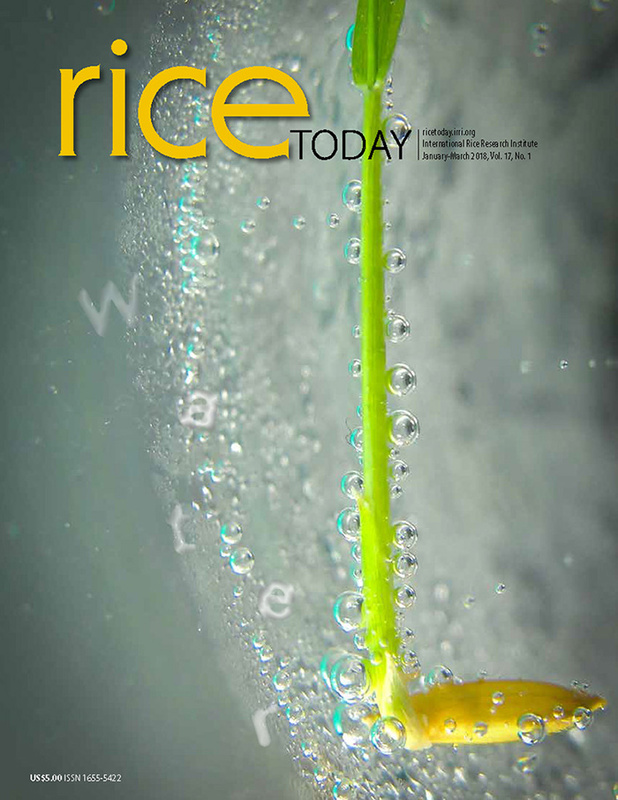 The International Food Policy Research Institute forecasts that by 2050, rice prices will increase between 32 and 37% while yield losses could reach between 10 and 15% as a result of climate change. Last 10 December 2017, IRRI Bangladesh joined the South Asian Association for Regional Cooperation (SAARC) in celebrating the 33rd SAARC Charter Day. 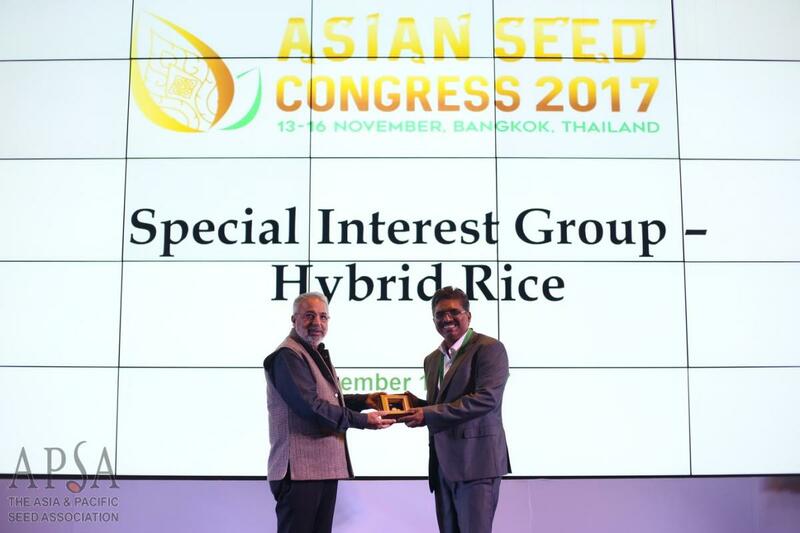 It was held at the Bangladesh Agricultural Research Council (BARC) in Dhaka, Bangladesh, and was attended by NARES institutions, international, and private organizations. A training on post production rice processing was held in Nakhon Ratchasima and Chai Nat, Thailand, where participants learned about rice milling, best storage practices, and techniques to improve rice quality. 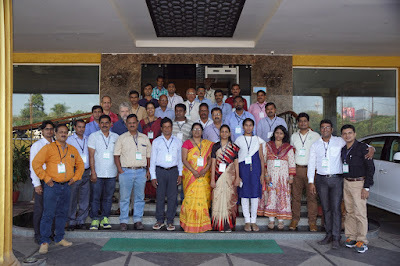 Eastern India Rainfed Lowland Shuttle Breeding Network (EIRLSBN) celebrated 25 years of its establishment and research accomplishment during the recently held annual breeder workshop and shuttle breeding selection activities at National Rice Research Institute (NRRI), Cuttack on 13-15 November 2017. He authored/co-authored numerous scientific papers on cropping and farming systems during the 1976-96 period. His 1996 book, with Simon Chater, On Farmers' Fields: Portrait of a Network, encapsulates his seminal networking projects at IRRI. As pointed out in the book, "with emphasis on training and on fostering collaboration between different countries, the ACSN/ARFSN played a key part in building a stronger regional research capacity—one that was equipped to meet the challenges of feeding a hungry world in the 21st century."